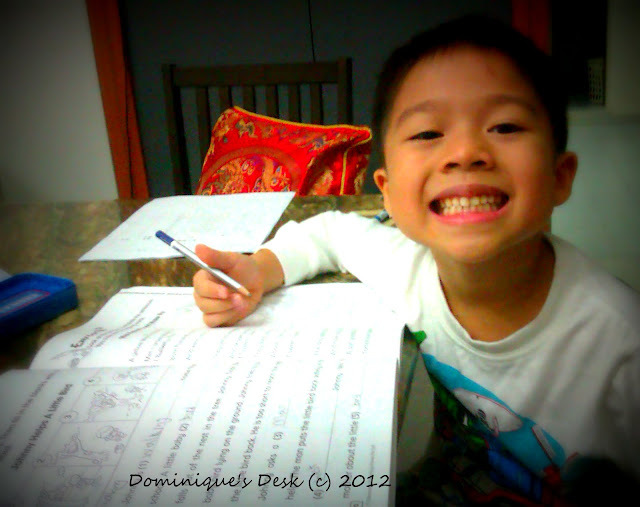 With the exams just around the corner for most Singaporean kids most of their parents have caught the ” Examination Fever”. Twice a year when their kids sit for the Semestral Assessment parents get very anxious and stressed up and they themselves feel as it they too are sitting for the exam. Here are some tips on how to make the examination period a less stressful time for both parent and child. Have a regular study schedule for your child. It would be more beneficial if your child studies and does revision for each subject on a regular basis. Cramming at the last minute maybe overwhelming for your child as he may not be able to remember everything at one go.I suggest to let your child start revision at the end of the topic or two topics.This would ensure that your child truly understands the concepts and theories thought to them. Any misconceptions or queries on that topic could be timely addressed and cleared promptly. Do not have unrealistic Grades expectation of child. Expecting your child to get at least a score of 95 marks out of 100 puts unrealistic demands on your child if he isn’t a high performer. You child can suffer from low self-esteem if he is unable to meet your expectation even though he has tried his best.It is more advisable to peg the targeted grade to about 5- 10 marks above what he is capable of achieving depending on the perceived difficult of the upcoming exam. This will make your child more motivated to work hard as they feel that the result is attainable. Do not be harsh or impatient towards your child while you are coaching him. The most demoralizing thing for a child is him perceiving himself as “stupid” as he is constantly being scolded for making mistakes or not understanding what is being taught.If your child believes that he is useless in Maths and will never be able to pass the subject he would have given up even without trying. This would be exasperating for both parent and child.A child would do better if the parent is constantly encouraging him to try his best and give the relevant support that he needs to reach his potential in academic excellence. .-= Angeline´s last blog ..The Child’s Level =-. I believe in regular revisions with the kids. In fact, expectations of parents should be set according to standard of the kids. If the kid is not good in his/her studies, parents should show the encouragement and support. Any small improvement made by the kids should be commended. .-= Denesa´s last blog ..Astonished and Embarrassed =-. Agree that Positive parental support is essential if a child is to succeed academically. Unfortunately many parents that I come across do not follow this train of thought. Great tips – thank you.